Dj App Roundup and Review – In this video we’ll have a look at Traktor DJ, Cross DJ, EDjing, WeDJ, and Pacemaker. We feel these are the top leading iPad Dj apps on the market. Please let us know if you can think of something we missed. – dedicated iPad design: displays the music library, the queue AND the turntables to avoid switching screens when mixing. – Make it personal! Pacemaker’s AI DJ technology helps you find tracks that match and make perfect transitions between them. – Your mixtape, your rules! Push the “Mix now” lightning button to instantly mix in the next track. Ta-daa! – When ready, be generous! Share your mixtape, so others can enjoy it too. – Being a killjoy is impossible! Seamlessly jump to any part of a track, and it will keep playing in sync with the beat. – Pimp it up! Blast your mixtape to the next level with a full range of colorful live effects. Pacemaker for Apple Watch – One-touch-mixing magic! Add live effects and mix in new tracks directly from your wrist. – Be social on the move! Enjoy your Mixtape Home Feed and keep track of the number of plays and likes on your friends’ mixtapes. – Quickly get the next track into the mix! Just tap it and Pacemaker will move to the next mix moment. – Rule the party from your wrist! Pacemaker for Apple Watch comes with our most popular effects, ChopChop, Whitenoise, 8-Bit and Hi-Lo! – for free! 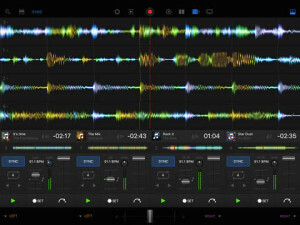 Pacemaker for iPad – The complete live DJ tool with the epic Autopilot™ feature. – Hit sync and with a full set of colorful effects and a crossfader, you have unlimited creative influence over the music you love! – What to play next? Pacemaker’s track selection assistant Match Machine™ finds tracks that match perfectly with the ones currently playing. – Need a break? Activate Autopilot™ – your personal DJ that automagically mixes music for you. Whitenoise – SwooooOOOSH! The powerful build up effect that gives you a dramatic and perfectly timed drop, every time. 8-Bit – The bit crusher that makes your track sound like a retro video game. ChopChop – Slice up a track for a stuttering effect and build up tension before the big drop. (iPad) Echo – Echo echo… Is there anybody out there? 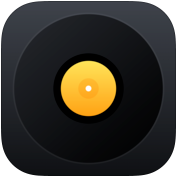 (iPad) Roll – Create a loop that spins on top of a track. 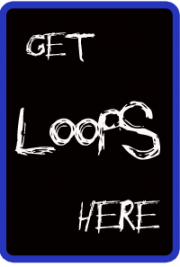 (iPad) Loop – Create synchronised loops on the fly; split or double, exit and re-loop. Also included is the exclusive Pacemaker Loop Travel. 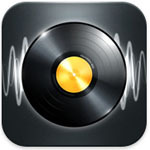 (iPad) Beatskip – Skip a pre-determined number of beats forwards or backwards to create stutter in your sound. 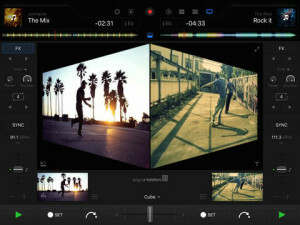 Mixvibes, the maker’s of Pioneer’s Rekordbox, brings you Cross DJ 3.0 for iOS. This powerful Dj app has been rebuilt from the ground up with a new audio engine and now it’s universal. The Cross DJ for iOS audio engine has been re-engineered. From a user standpoint, this translates into a significant improvement of the ​battery consumption, better audio quality and optimized recordings. ● Change the color of each deck (7 colors: blue, orange, red, yellow, green, purple & pink). ● Portrait mode: switch the device orientation to access a single-player portrait view. ● Vinyls: choose between big & small covers. ● Notification when a loop, an FX, a sample or an EQ is active. ● Small buttons are easier to tap. 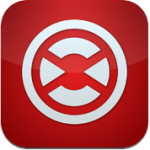 ● buy Cross DJ for iPhone, and possibly run a stretched version of it on your iPad. ● buy Cross DJ for iPad to enjoy the iPad-only layout. Now, you can simply b​ uy Cross DJ once and use it on both your iPhone and your iPad while enjoying a specific layout for each device. And you are not charged ​ twice for it. • Mix SoundCloud: your SC account, in Cross DJ, for free. Fast loading of tracks. • Record your mix and share it to SoundCloud, Facebook & Twitter. • Automix: your tracks are mixed automatically, from any source: playlist, album, etc. • Quantize mode: hot cues and loops are automatically set on the beat. • Separate tabs: each deck is independent. • 14 effects: Hi & Low-Pass, Echo, Phaser, Chopper, Brake, Roll, Delay, Flanger, etc. • 11 supported controllers: Mixvibes U-Mix Control Pro I & II, Pioneer DDJ-WeGO1, Numark Mixtrack Pro I & II, Numark iDJ Live I & II, Hercules DJ Console RMX 2, Hercules DJ Control Instinct, Hercules DJ Control AIR, Vestax Spin2. djay Pro provides a complete toolkit for performing DJs. Built exclusively for iPad, djay Pro seamlessly integrates with your media library and Spotify, giving you instant access to millions of tracks. Pristine sound quality and a powerful set of features including high-definition waveforms, four decks, and video mixing give you endless creative flexibility to take your sets to new heights. djay Pro is compatible with any iPad running iOS 8 or later. DJ Shiftee knows his way around Native Instruments gear. 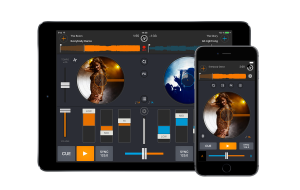 Having demoed pretty much every DJ product in front of a camera, it was just a matter of time before he applied his considerable skills to NI’s Traktor DJ for iOS. But… but… Shiftee’s a turntablist right? How is he going to scratch and cut and juggle and all that other deck based stuff? Watch and learn. Ready to expand your DJ setup? Step up to the TRAKTOR family of pro DJ products – the world’s #1 professional digital DJ brand. Top DJs across all genres rely on TRAKTOR to deliver powerful, floor-filling sets to the biggest audiences worldwide. Instantly sync the sets you create in TRAKTOR DJ with TRAKTOR PRO 2, the world’s leading DJ software, and turn your laptop into a DJ rig. Spin tracks on up to four decks, work the crowd with a wide range of studio-quality effects, and express your creativity with TRAKTOR’s acclaimed Remix Deck™ technology. Bring your sound to the people with TRAKTOR’s pro-quality audio interfaces TRAKTOR AUDIO 10, TRAKTOR AUDIO 6, and TRAKTOR AUDIO 2. Get physical with TRAKTOR hardware. For total control, try the all-in-one DJ systems TRAKTOR KONTROL S4 and S2. Control your digital tracks with turntables or CD decks using TRAKTOR SCRATCH digital vinyl systems, or use dedicated TRAKTOR add-on controllers to enhance your DJ sets with loops and creative live remixing. 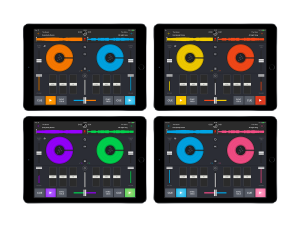 And now, drawing on over ten years of innovation and DJing expertise, TRAKTOR DJ brings pro DJing to the iPad.